Michel Roux has done it. Jacques Reymond has done it. Now, Greg Doyle has done it too. 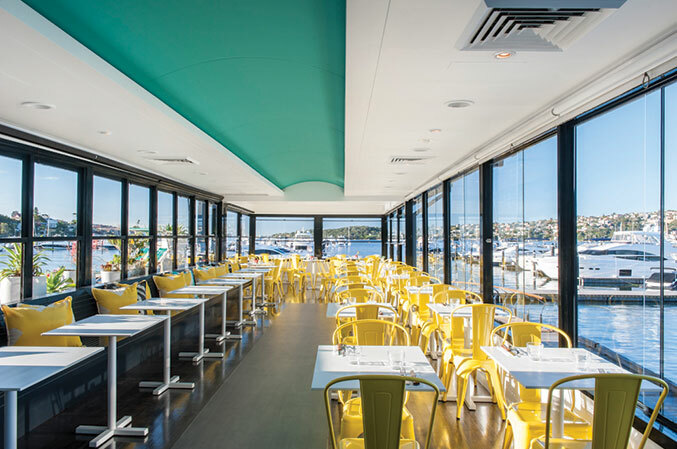 Pier at Rose Bay has been at the forefront of the Sydney fine dining scene since Doyle opened in 1991, holding the highly coveted three chef hat status from 2007-2010. However, it was during 2010 that Doyle controversially handed back his chef hats, explaining “I don’t want the intensity of it any more… … that is, the level of attention to detail it requires, the constant development of new dishes, staffing levels and the cost of maintaining a three-hat restaurant.” (SMH, Sue Bennett, May 18th, 2010). Since this time, Doyle has gradually changed Pier’s focus, cutting main course prices and simplifying the menu. But the biggest change came in August of 2012 where Pier completely shed its fine dining skin and Greg, like Michel Roux and Jacques Reymond, handed over the reins to his daughter Jacqui Lewis. The starch white table cloths were stripped away and the formal table setting was replaced with canary yellow metal chairs and white picnic-style tables. Splashes of bright turquoise feature around the restaurant’s long narrow space and exuberant fabric prints adorn the lounge. Fun, fanciful and a little bit retro, The Sailors Club embodies a 1960s Palm Springs vibe. The only thing missing here are tables of women wearing psychedelic printed mini dresses, with big hair and false eyelashes. The food at The Sailors Club is an interesting evolution from Pier’s classic seafood-focused menu. Under Executive Chef Steve Skelly, burgers and minute steaks sit beside dishes like duck confit and oxtail bucatini. 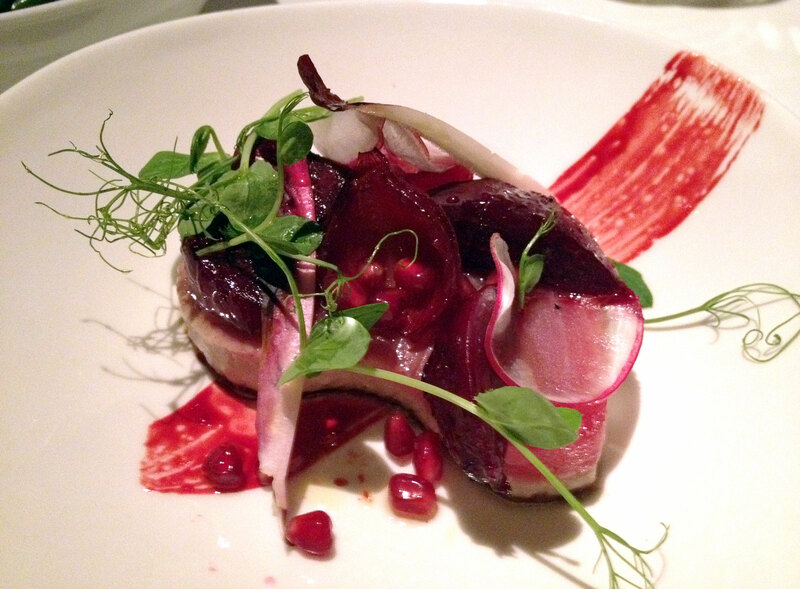 A main of grilled yellow fin tuna, beetroot, witlof and radish is elegant in aesthetic and while not a complicated dish, it is exactly what I want. The flathead in Cooper’s batter, with skinny chips and tartare sauce isn’t heavy with oil and is generous in size (there are two huge flathead fillets). Accessible and diverse, with all mains being capped at a more-than-reasonable $30 mark, The Sailors Club is a place where you could happily eat night after night. A great restaurant moves with the times – adapting, changing and shifting to suit changing hospitality and dining trends. The Doyle family are not afraid of shake things up and their newest incarnation, The Sailors Club, deserves all the success in the world.